Decided to have a look at some of the defences of Ipswich's northern perimeter. The railway defines the boundary of the defences in this area and was in places an effective anti-tank obstacle with a series of deep cuttings. 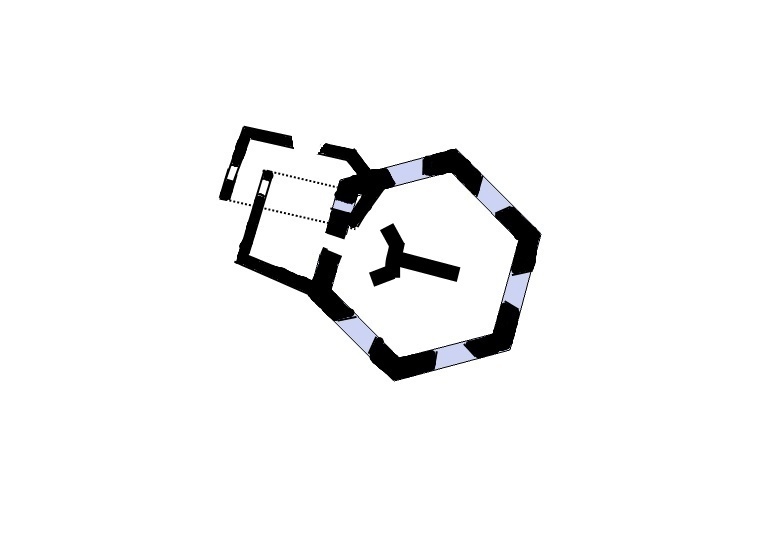 The line was defended with pillboxes and road blocks on crossing points. 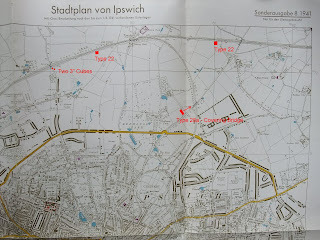 Awhile ago I obtained a German map of Ipswich dated 1941. The Germans produced large no's of town plan maps of the UK as well as the Karte Von England 1:100,000 (cm's) maps. Not quite sure why, since invasion plans of the UK had been virtually abandoned by 1941. Eventually I hope to plot the Ipswich's defences on this map, a start being made today. Pillboxes visited included a Type 28a guarding a bridge over the railway line at Tuddenham Road. However today it is completely hidden by a hedge - so you will have to make do with a photo taken a couple of yrs ago after some work on the hedge had been carried out. On Henley Road, two 3' cubes can be seen, the remains of a road block protecting another bridge. There is supposed to be Type 22 in the area but could not find it - presumably hidden in another garden. Next up were two Type 22's with entrances protected with a blast porch. In a letter to his Brigade Commanders, 5th Aug 1940, that starts with:" I am very much afraid that we are going pillbox mad", Maj General Majendie (GOC 55th Div) notes that "many [pillboxes] face the wrong way". One near Westerfield certainly does seem to have been built with the blast porch facing the wrong way, as another porch was added to protect the first porch! I also checked out some other bridges in the area but no remains of any blocks or other defences, but did come across a Home Guard store at Playford. 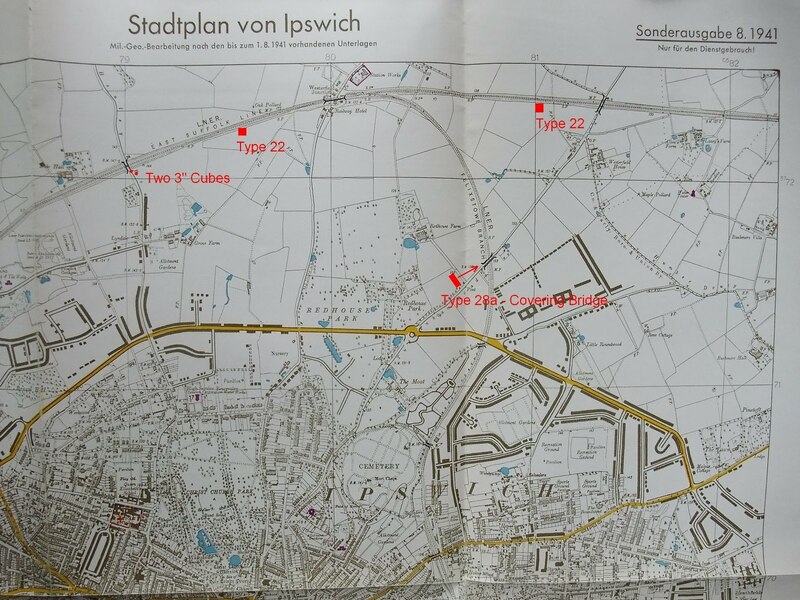 Image 1: German map of Ipswich with defences visited plotted onto it. Image 2: Type 28a, Tuddenham Road taken a couple of yrs ago - the ultimate garden shed? You might be interested to know that there was or is a spigot mortar position by Hadleigh Road rail bridge, on the RHS leaving Ipswich. It may have gone now. Theres another (not part of the northern defences) on St Augustins roundabout LHS close to the surface and fence. Very hard to see! The Type 22 on Henley road is on the right-hand side of the railway cutting as you face towards Westerfield. It is almost completely overgrown now. It used to be the 'home' of a local nutter, Edric Steele (deceased). I went in it many, many years ago. If you are interested, there are a couple of other local oddities, that I'm sure are war related: (1) The Ferodo bridge on Norwich Road. If you stand, facing the town, and look at the arches on the left hand side, you will see, in one of the arches, a steel door protected by a brick blast wall. What was this? A shelter? Home Guard post? (2) Old railway sidings that run alongside the river, and under the Princes Street bridge, near the station. At the rear of the industrial units, is a concrete blockhouse. It was possibly for Home Guard use, as it's position, covering a road, rail, and river link, is strategically important. It is really heavily overgrown. Thanks for the info - good to know the Henley Road Type 22 still exists. Will have to have another look. The structure you refer to at Princes Street is I think an air raid shelter.